Nina is a Solicitor in our Corporate and Commercial Team advising clients on a range of corporate, commercial, intellectual property and franchising matters. Nina graduated with a degree in Psychology from the University of Manchester before completing the Graduate Diploma in Law and Legal Practice Course at BPP in Cambridge. Since joining Leathes Prior as a Trainee Nina has also studied Business and Law modules at masters level in her own time. 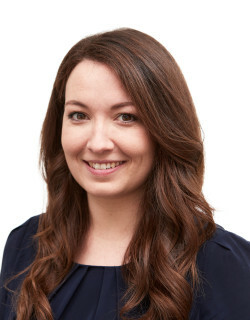 During her training with the firm Nina gained valuable experience in Employment, Dispute Resolution and Property before qualifying into the Corporate and Commercial team where she now works closely with Employment and Commercial Property colleagues to provide a full service to her clients. Nina is able to advise and assist with a variety of corporate and commercial work including share and business acquisitions and disposals, share reorganisations, reviewing and drafting commercial agreements and assisting with gaining trade mark protection. She has experience working with clients from a variety of backgrounds and industries from budding start-ups to publicly listed companies. Having previously taken part in the event, Nina has agreed in 2019 to be one of the business mentors at Sync The City, the popular Norwich-based 54-hour startup event which is now in its fifth year. Outside of work, Nina is a keen photographer and likes trying out new food and drink spots in Norwich with friends. She also enjoys playing tennis (snow sport-related injuries permitting).